Lighting is a crucial important part of any home or office—no one wants to live or work in a dark, dingy space! Lighting also greatly improves the aesthetic value of a room and the attitudes of the people who use it. Even architectural designs have to take into account potential lighting solutions! Lighting installation and maintenance is a serious matter. For all your indoor and outdoor lighting needs, Best Fishers Electricians provides both domestic and commercial lighting services. Whether it is a single family home or a multi-story corporate building, we have got you covered. Our expertise helps us serve our customers with all their lighting needs, both indoor (such as living room, kitchen, bathroom, and general indoor lights) and outdoor (such as garden, doorways, front yard lighting, etc.). We take pride in delivering energy efficient, secure, and long lasting lighting solutions to our clients. 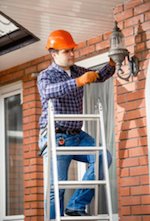 From replacing an old light fixture to installing a complete lighting system in your home or office, we take care of everything. We provide outstanding service to a wide range of customers in and around Fishers, Indiana. We are your one-stop solution for all your lighting needs! Not only do we sell lighting, our professionals can advise you in any lighting scenario that you may be facing. We can help you decide the best location for your lighting, as well as the proper kind of lighting should go there. Our talented design team can help keep your lighting projects under budget and with complete satisfaction! 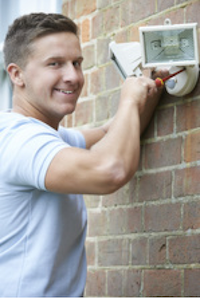 What Are Some Of The Lighting Services Best Fishers Electricians Provides? If you required assistance with anything else, you can always call or send an email to inquire in detail about the services we provide and get a quote. At Best Fishers Electricians, you get a blend of three qualities—low costs, installation expertise, and an extensive understanding of the science of lighting.